Even more strange is that her body is miraculously unharmed and she has no memories of boarding the plane. She has no memories of her life before the crash. She has no memories period. No one knows how she survived. No one knows why she wasn't on the passenger manifest. And no one can explain why her DNA and fingerprints can't be found in a single database in the world. Crippled by a world she doesn't know, plagued by abilities she doesn't understand, and haunted by a looming threat she can't remember, Seraphina struggles to piece together her forgotten past and discover who she really is. But with every clue only comes more questions. And she's running out of time to answer them. From popular young adult author Jessica Brody, Unremembered is the start of a compelling and suspenseful new sci-fi series, set in a world where science knows no boundaries, memories are manipulated, and true love can never be forgotten. 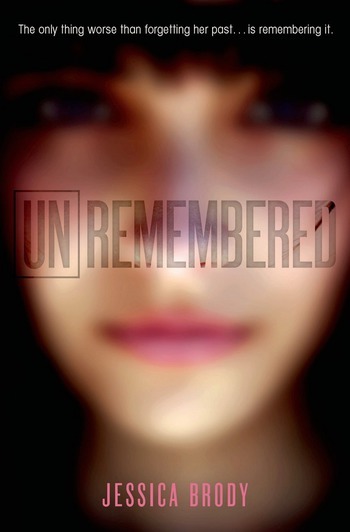 Watch the book trailer for Unremembered, the new book by author Jessica Brody. Jessica Brody is the author of 52 Reasons to Hate My Father, My Life Undecided, and The Karma Club, as well as two adult novels: The Fidelity Files and Love Under Cover. Sometimes she wishes her memories could be erased so she could reread all her favorite books for the first time. She splits her time between California and Colorado.